Fully fenced parks, playgrounds and other play areas sometimes provide parents with a bit more comfort, particularly if you have a runner! While nothing replaces constant supervision, a fence can delay the escape and allow mum or dad to catch up to the escapee! Here are some spots in and around the Hills that have fences. 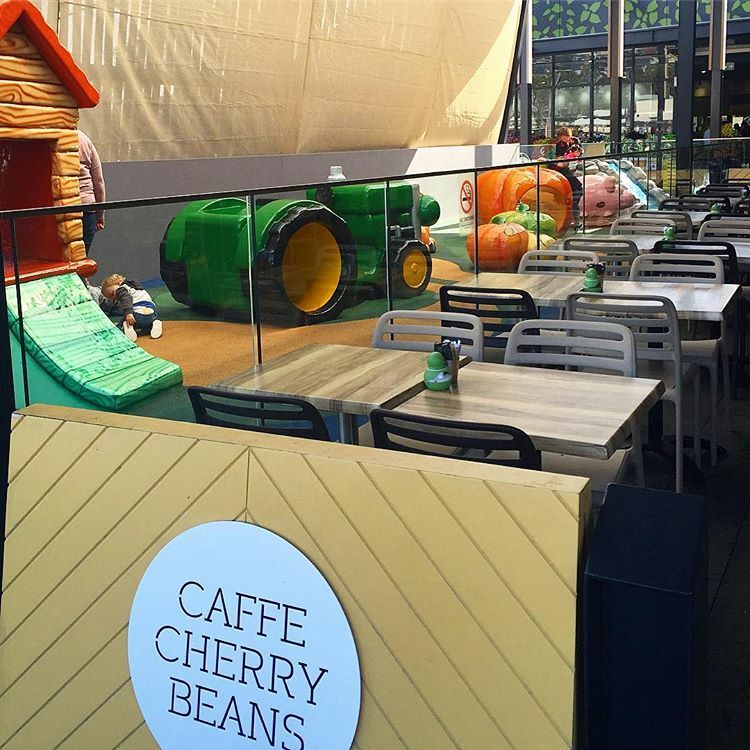 The play area at Stockland Baulkham Hills is conveniently nestled between not one but two cafes! 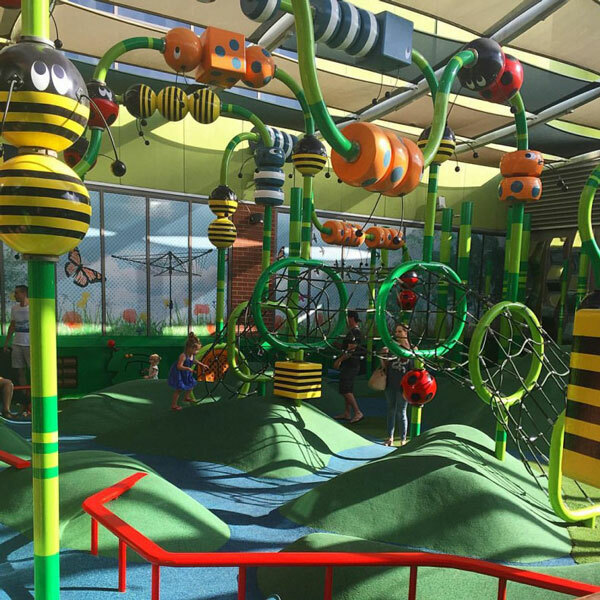 Stockland Baulkham Hills combined with Touched by Olivia to create a play space that’s pretty cool! It’s now also fully shaded – tick! It’s great for kids with big imaginations! Right next to a train station for train loving children. And once you’re finished at the playground, there’s the very sweet Children’s Bookshop on Hannah Street which is worth a visit. Fab and very reasonably priced boutique Emily & Rose is a welcome addition to the street too and is worth popping in to if your kids will give you a few minutes peace! Brand new, Larry Bolitho Reserve only opened in March 2015. 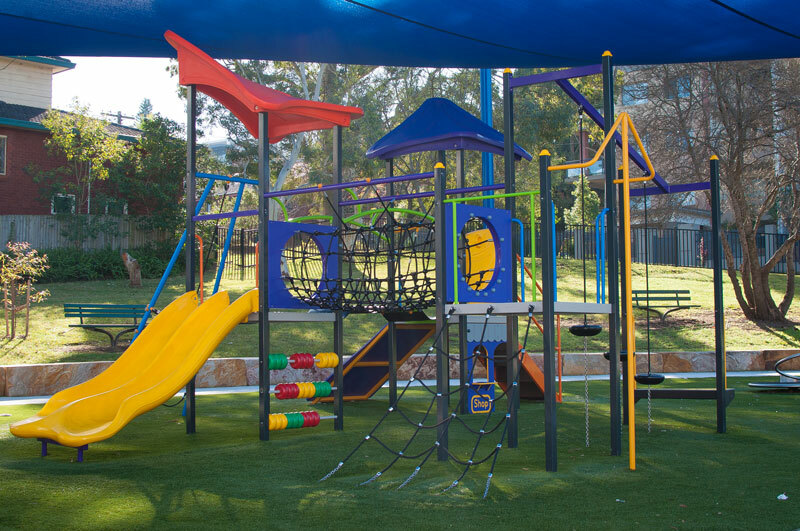 Facilities include great new equipment, swings including a birds nest swing, a path for scooters and plenty of space to run and kick a ball. 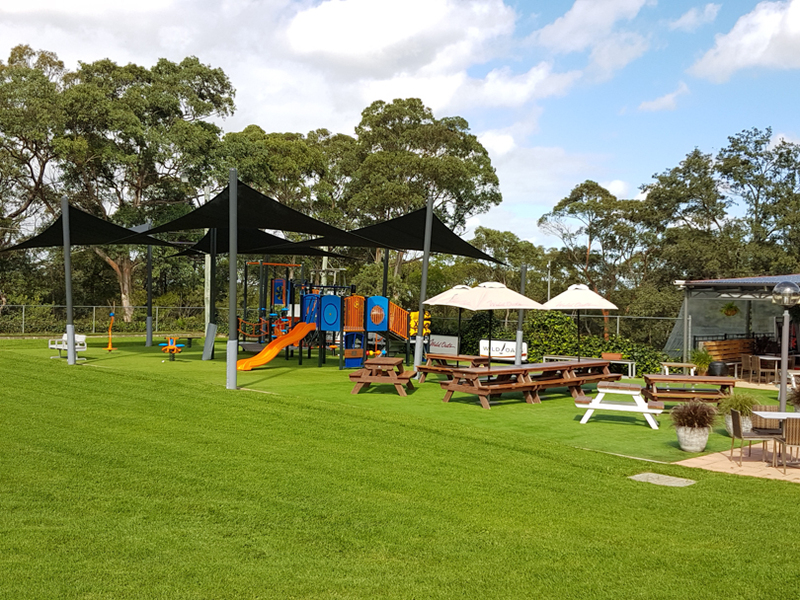 The flooring under the play equipment is synthetic grass, the park is fully fenced and there’s a shade cloth over the equipment, however there are no toilets and no refreshments close by. 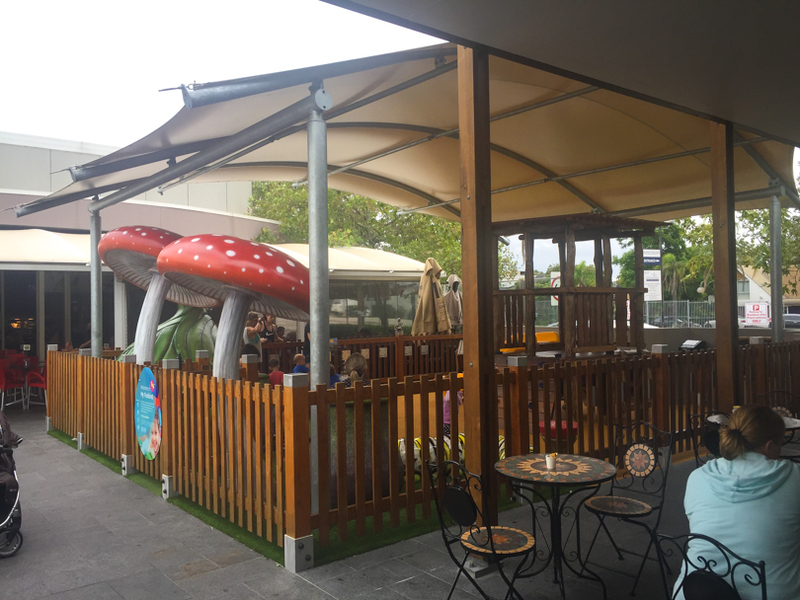 Castle Hill RSL has a new play area and it’s totally epic. It’s fully fenced and located in their courtyard area. Older kids can open the gate though and do go in and out frequently so you need to be watching smaller kids. 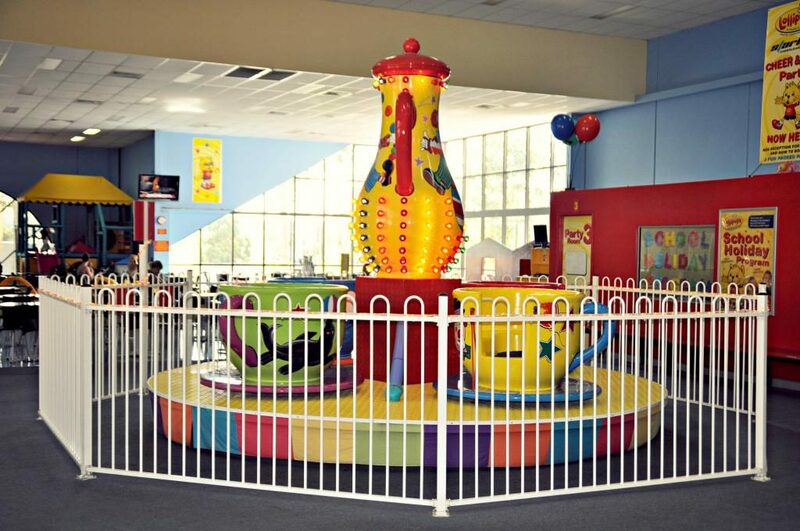 Kids Play Land is a indoor play centre ideal for children up to 5 years of age. They have an array of games and toys, ball pits, cars, riders, climbing tumbles, jumping castles and much more. There’s a cafe and toilets on site. Its only open on weekdays during school term and on weekends and in school holidays it turns into Inflatable World. Lollipops Castle Hill is a bit of a favourite for kids birthday parties but you can visit casually. They have a giant play frame, brand new airplay with foam balls, cannons,a teacup ride, inflatable jumping castles, super high walk-bridge, speed slide, bouncy slide, ball pits, dedicated toddlers area, play-believe areas, and a ride-on cars section. There are toilets, a cafe and it is air-conditioned. This playground is located in a beautiful grassy reserve that’s designated as a dog off-leash area but to keep dogs and children separate the playground is fully fenced! 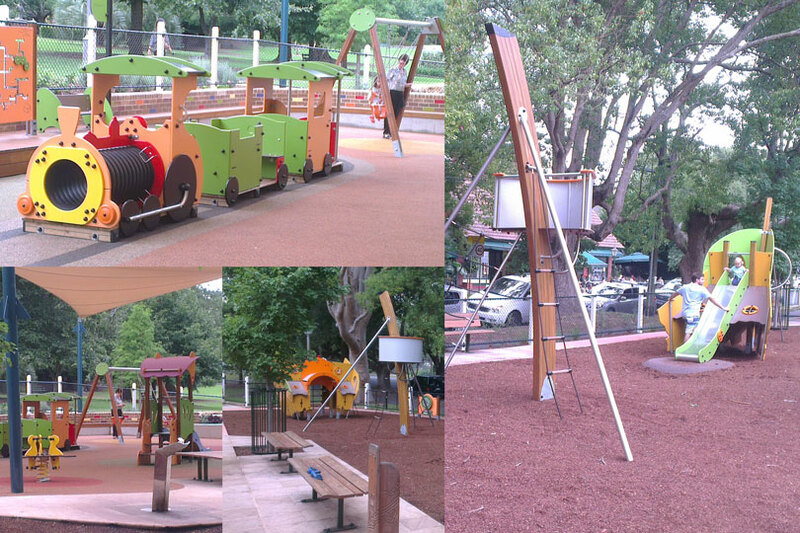 The play equipment is made from timber and is beautiful. Some of the equipment can be a little challenging for toddlers and pre-schoolers but is perfect for school aged kids. You can tell the little car was designed by a parent with more than one child as it has TWO steering wheels to save quarreling between friends and siblings! There are no toilets and it isn’t close to refreshments. 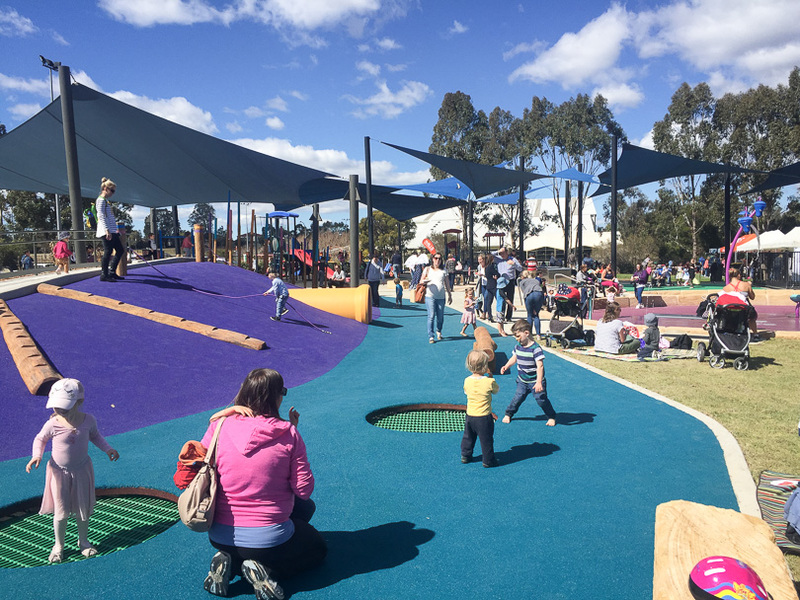 Gumnut Park – cute name huh? This park is great! It’s pretty, has good equipment and a scooter path, some soft fall rubber and bark, a nice big patch of grass next to it, benches and is fully fenced. And there’s even some gym equipment if you fancy doing some chin ups while the kids play! The downsides – there are no toilets, it’s not close to refreshments and there’s no shade so it’s not great on a scorching hot day but perfect on a sunny winter’s one! Robert Park is a pretty little park that’s fully fenced, has lots of shade and is very peaceful. There are a couple of benches and tables too which is good if you’re having lunch or are there with a group of people. There are no toilets and it isn’t close to refreshments. The Vintage Pantry: Secret Garden Galston is another cafe, nursery and play equipment combo in one. The food is on the more expensive side but it’s popular among families and you can get a coffee and something small for morning or afternoon tea. There’s plenty of space for bigger groups and on a good day it is really pleasant sitting outside in the courtyard while your kids occupy themselves on the play equipment. The play area is full fenced. The cafe within Flower Power Glenhaven is under new management and the space has undergone a transformation. The fit out is great and the fenced play area in the corner has remained. The cafe overlooks a small lake with fish, ducks and now floating flamingos and when you’re finished your meal you can head up to Flower Power the impressive nursery. Do keep a close eye on little ones by the lake though. The draw card for this little playground is that it’s right next door to The Tuckshop, a popular cafe. There’s plenty of room to put down a picnic blanket and there are a few trees that cast some shade, although the equipment isn’t shaded. It’s recently been fenced which is great if you have a kid that likes to run down onto the oval! Although the gates are really easy to open so they possibly won’t stop an escape altogether! We’ve also heard that there’s more to come on the refurb front for this little park, so fingers crossed as it could do with a set of swings. You shouldn’t have any trouble finding a park as there are a couple of little parking areas next to the park and the shops. The Glenorie RSL has a gorgeous outdoor area. 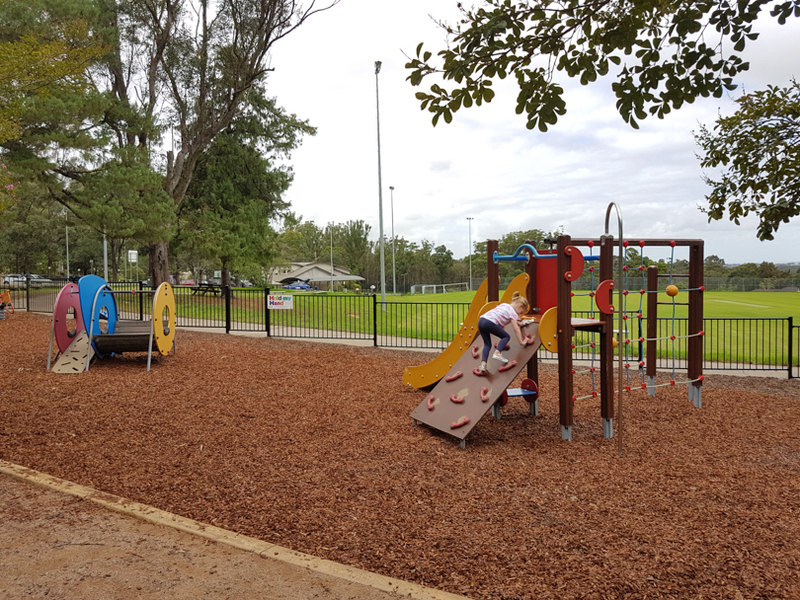 The fully fenced grassed area has a great playground for younger kids to enjoy and plenty of space for older kids to play footy or tip. Both areas are within sight of your table if you sit outside and they’ve recently installed shade sails which is an added bonus. 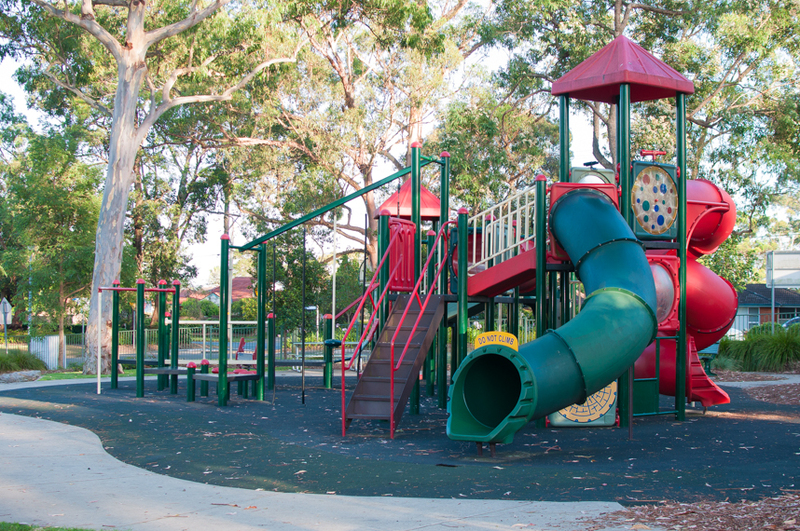 This great park caters for all ages, from crawlers to primary school aged kids. 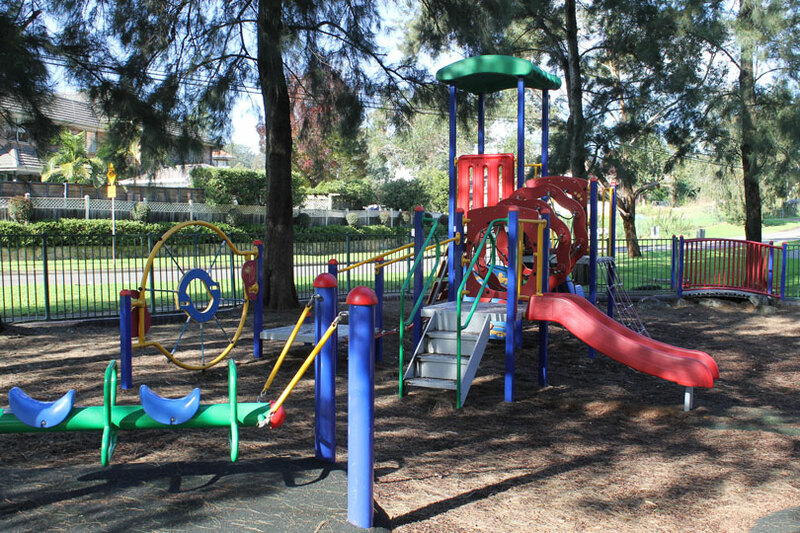 Bernie Mullane has climbing equipment, slippery dips, water play, swings, a grassed area to run around (unshaded) and a small footpath for scooters. Some of the play equipment is covered by a shade but there are no shaded areas to sit on a rug. Outside the fenced playground is a walkway around the sports complex where there’s a smaller playground. And if you are a mum who loves a coffee and a little something for morning or afternoon tea, this is all available in the nearby gym. 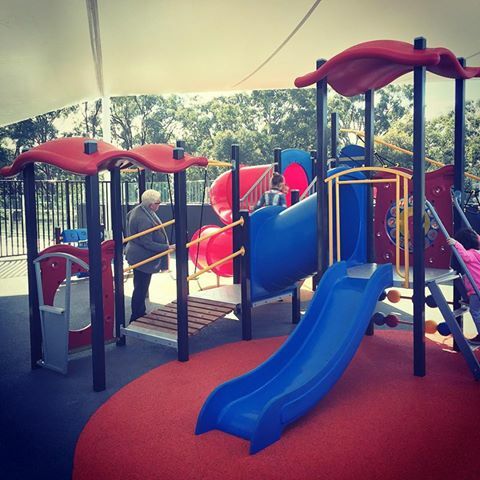 Kellyville Village has a great little fully fenced play area. Equipment is excellent for young kids and slightly older ones have a ball too. It is shaded and just outside a fabulous coffee shop, The Local Trade. There are toilets inside the Village. You’re bound to meet another Hills District Mum here – the place is swarming with them! 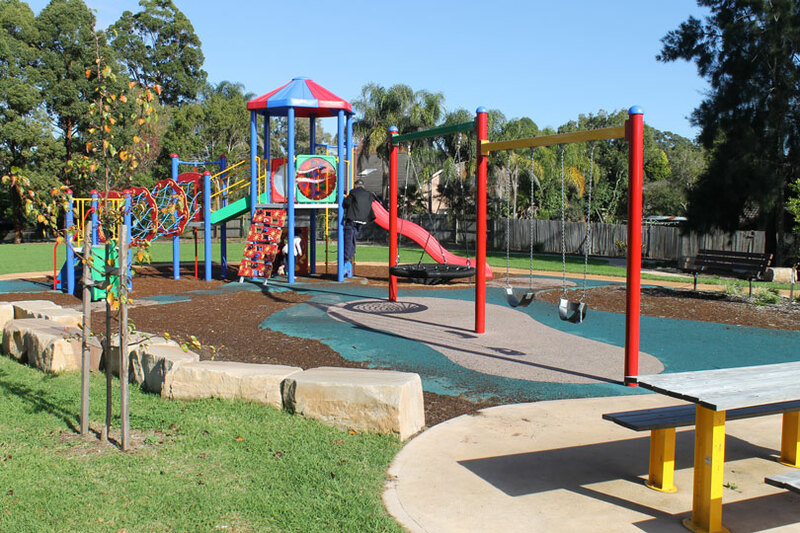 This North Rocks park is ideal for crawlers, toddlers and pre-school aged children. There’s a wobbly bridge, rope net to climb, tunnel, three slides, a mini rock climbing wall and swings. There are toilets nearby, picnic tables, BBQ facilities and lots of parking. It’s also fenced off, shaded by trees and has a small path for scooters. There are no refreshments nearby. 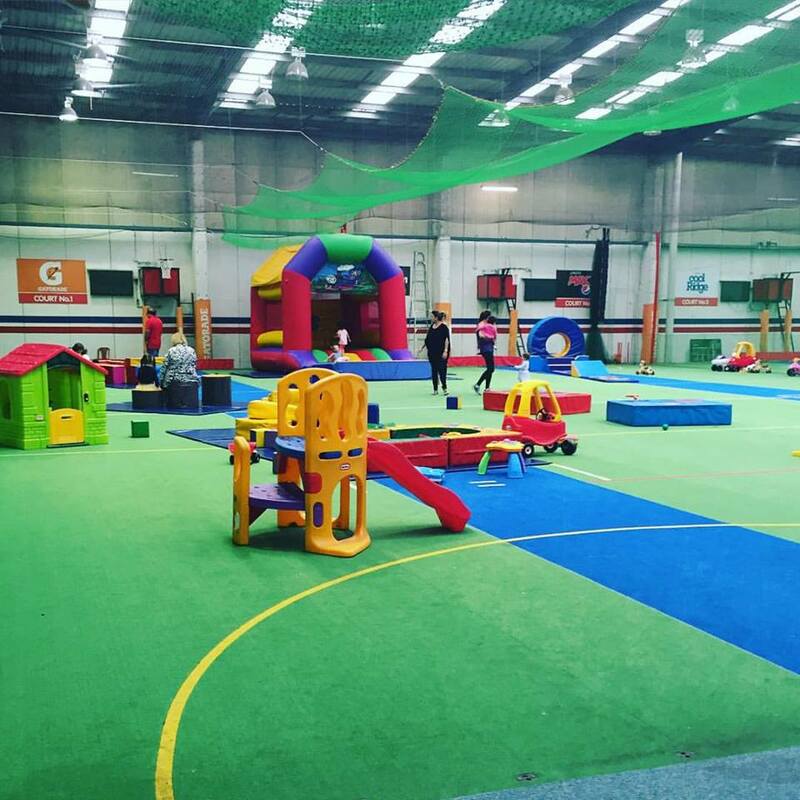 On offer at Ultimate are trampolines, a foam pit, basketball hoops, dodge ball, massive play equipment split by ages 0-5 years and 5-12 years, party rooms and a cafe. 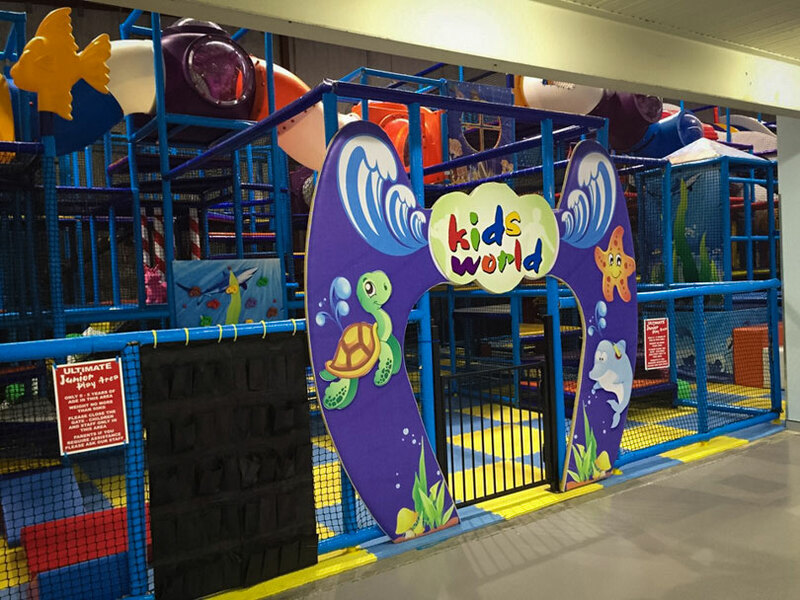 When you first walk in, Kids World (0-5yrs) is to your left, with its very own play centre, trampolines and mini rock climbing wall. We’d say to get the most out of this area you’d probably be between the ages of 2 and 5. It was great having a designated spot for our little ones and they certainly loved their little trampoline area. There is a cafe and toilets and it’s all indoors! Find out more here. 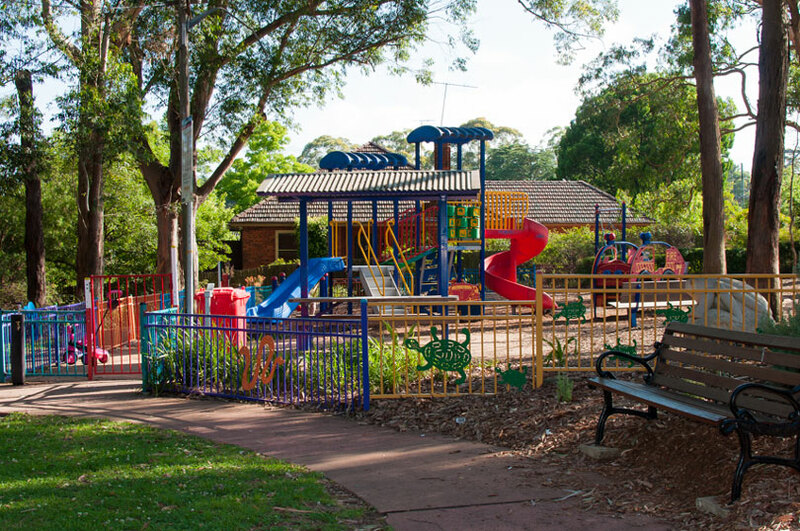 Wollundry park is ideal for toddlers and pre-school aged children and is fully fenced. 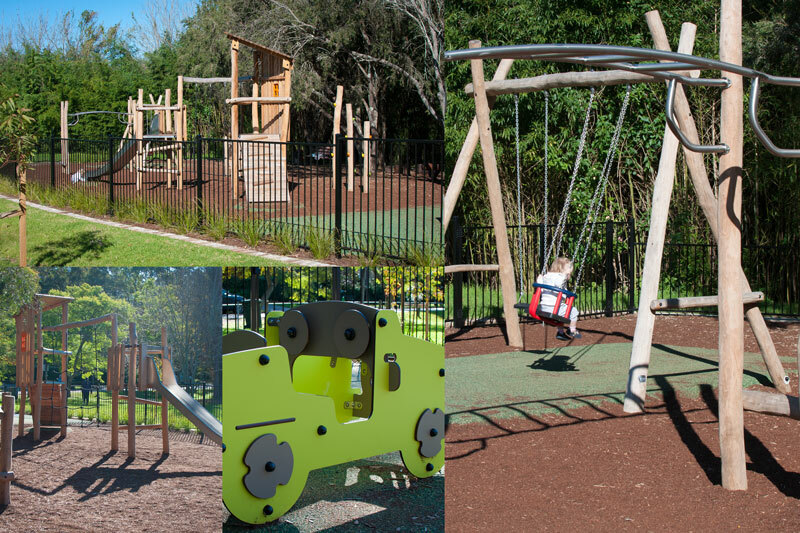 The park is directly across the road from Pennant Hills train station, which is perfect if your little one likes trains! There are lots of trees surrounding this park which keep it shady. And it’s a short walk from Pennant Hills shops for those of you who love a coffee! the closest toilet is in the library. The play area at the Lynwood Country Club is great. 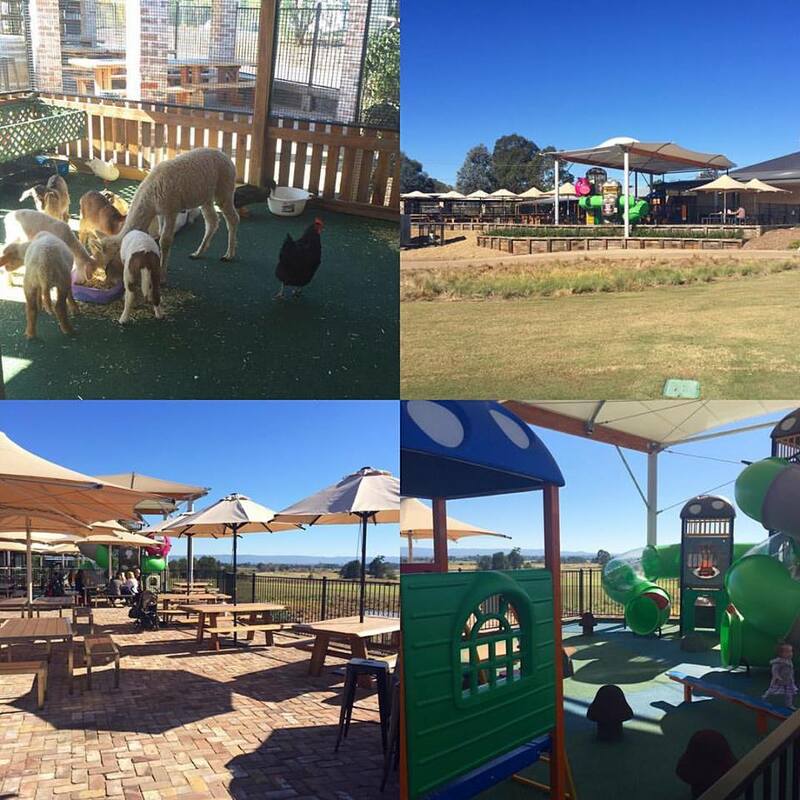 Called ‘The Farm’, there’s a fantastic gated playground area and kids can even meet farm animals (Monday to Friday 10am – 1pm and 3pm – 5pm. Saturday and Sunday 11am – 3pm). It’s an excellent spot for lunch with a group of mums or on the weekend with the family. Nestled conveniently in between Oliver Brown and Blends and Brothers ‘The Backyard’ is great for age 2 and up to about 8 years of age. Fully fenced (although older kids could probably scale it) this is a great play area for kids to explore and climb. 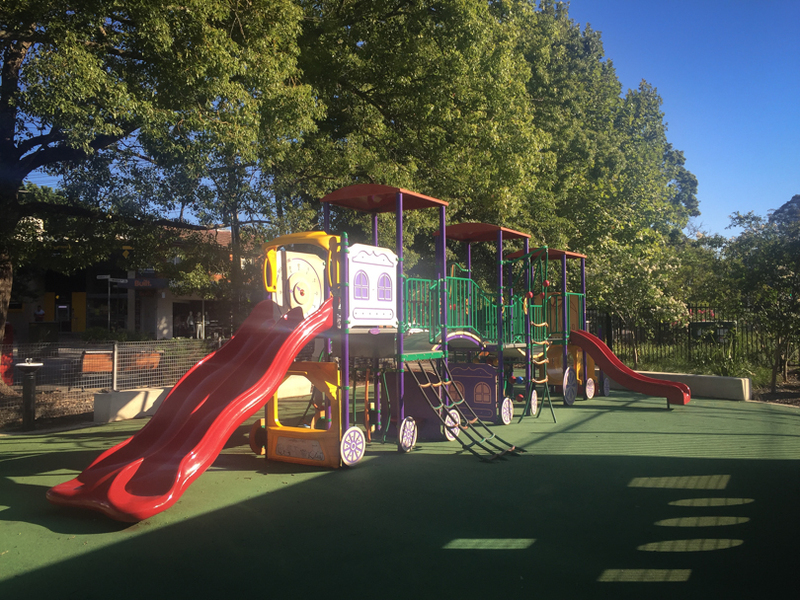 Stanhope Village has two play areas that are great for toddlers/pre-schoolers. Both have this fabulous soft equipment – it’s hard to describe really. Kind of cushioned, padded and squishy. In technical terms the ground is soft fall with latex covered foam-padded equipment. And the one outside is the one that is fully fenced. It is located right next to Caffe Cherry Beans and Michel’s Patisserie. 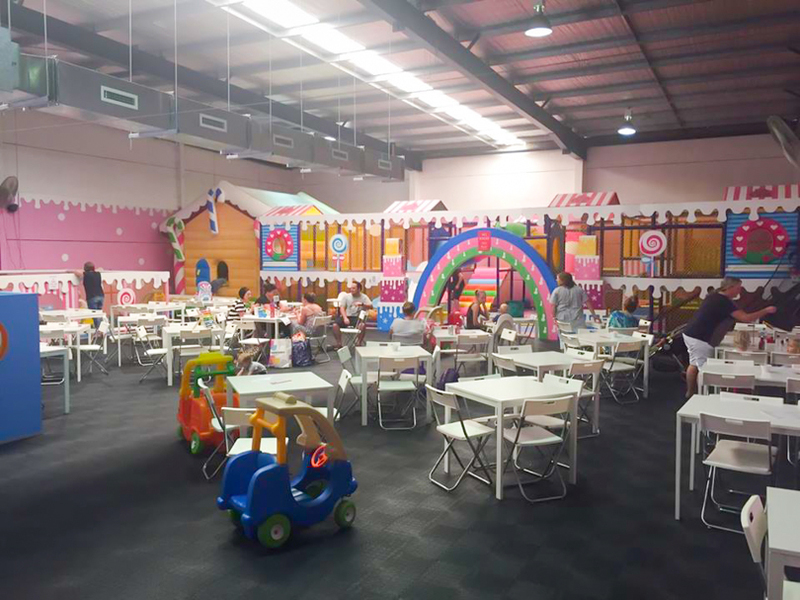 Candyland is a great space for toddlers and even slightly smaller crawling kids who are keen to explore in a safe environment. There are little ball pits, a jumping castle, small slides, areas to climb that test their skill a little and a mini trampoline. There are also a couple of cosy coupes to take a ride in and giant Duplo blocks to stack up. There’s stacks of seating for parents so a large group of mums and prams would be totally fine! It’s all very open so you can see exactly where kids are at all times. Also, you can grab a coffee, sweet treats, kids snacks and something more substantial if you want to make it a lunch stop too. Caroline Chisolm Park is a fenced playground just across the road from Winston Hills Shopping Centre and importantly just across the road from Cafe Els. This one is brand new! 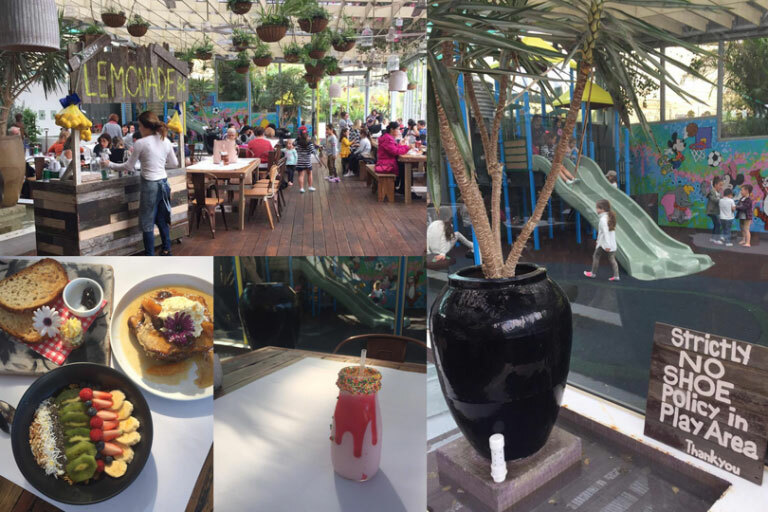 Nestled in Burwood Park The Picnic is a funky cafe which is constantly buzzing. 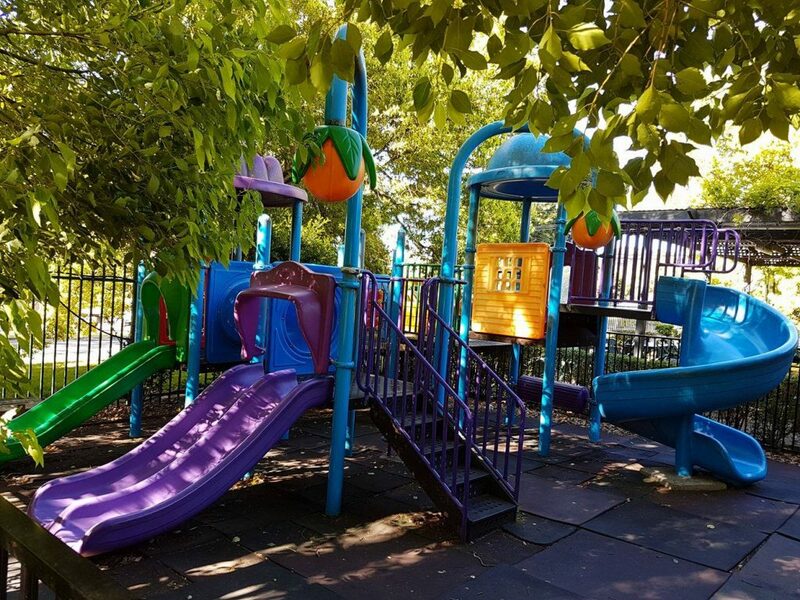 Just up from the cafes is a fantastic fully fenced and shaded playground. Well worth a trip! 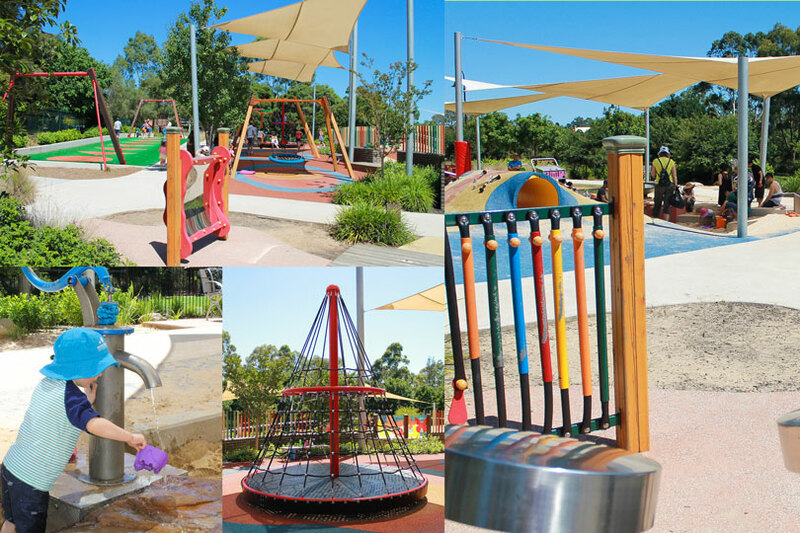 The playground at Yamble Reserve is visually stunning, with different pockets to discover and lots of brightly coloured elements to explore and ponder. There are stepping bells and bongos, a large sand area with a cool water pump, excellent long flying fox and a second one with a chair and harness, big spinning structures, little hills and tunnels and more. There are the humble old-school swings too, but these were being completely ignored given all the other uber cool stuff on offer. Poor swings. Huge shade sails cover a large portion of the playground but not the flying fox. It’s fully fenced with security gates and there’s plenty of seating. There’s a large toilet block right next to the park but it isn’t close to refreshments. We love Wahroonga Park. The equipment is great and caters to kids up to about 6 or 7, maybe 8 at a stretch. Any older and they may be a little bored or prefer to kick a ball on the grass outside the playground. There’s a mini flying fox, a large half sunken pirate ship with slide, train structure, small slide toddler swings and stepping bells.There’s plenty of seating and a fair bit is under shade sails. And there’s a cafe across the road or a number at Wahroonga shops, so once you’re all set up with coffee in hand, you shouldn’t have to stray too far from the plentiful seating at all. The playground is fully fenced (aside from the swings for the older kids) and sits in a bigger park which takes up the entire block. Note, Mr 4 can very easily open the gates though. It’s very pretty, with manicured gardens and a rotunda and there are also toilets. Other articles that might interest you….. 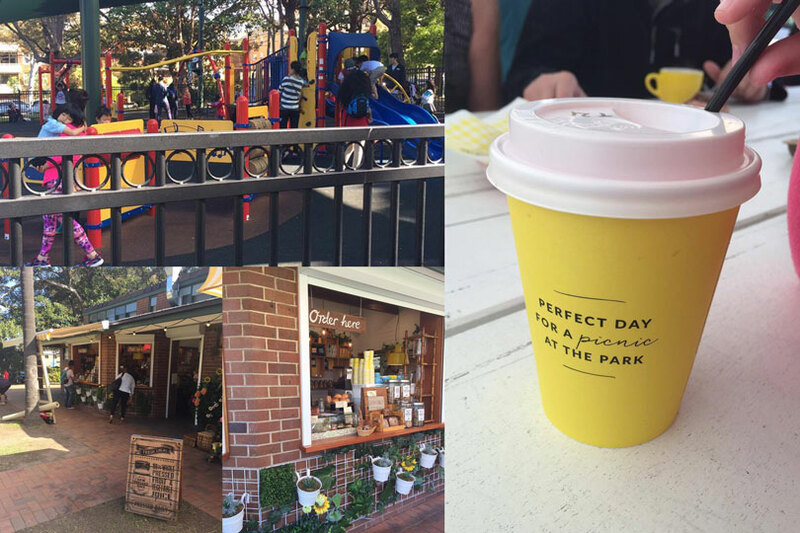 Parks and coffee – a mum’s perfect combination. Pubs and restaurants with a playground in and around the Hills.